The stainless steel waiter's knife is constructed of high quality 18/10 stainless steel. 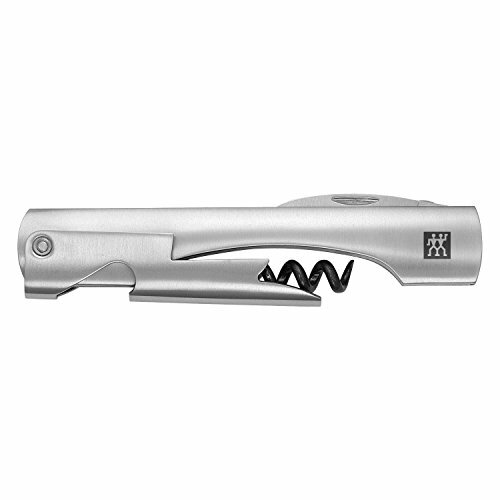 Compact and ergonomic design with three key features: corkscrew, foil cutter and bottle cap opener. Corkscrew spindle is hardened and forged for long lasting sharpness and non stick coated for ease of cork insertion. The two step Lifter system opens even the most difficult cork easily and quickly.